What is a Showcase Sponsor? Showcase Sponsors anchor the Austin Trail of Lights with innovative, fun and highly trafficked activations. This sponsorship level receives a significant footprint within the Trail of Lights, broad marketing exposure and options for customer engagement. The Trail of Lights team will create a new event destination with customized experiences and programs to meet sponsorship objectives. Our Showcase Sponsors have given life to one-of-a-kind activations that engage and delight attendees of all ages. 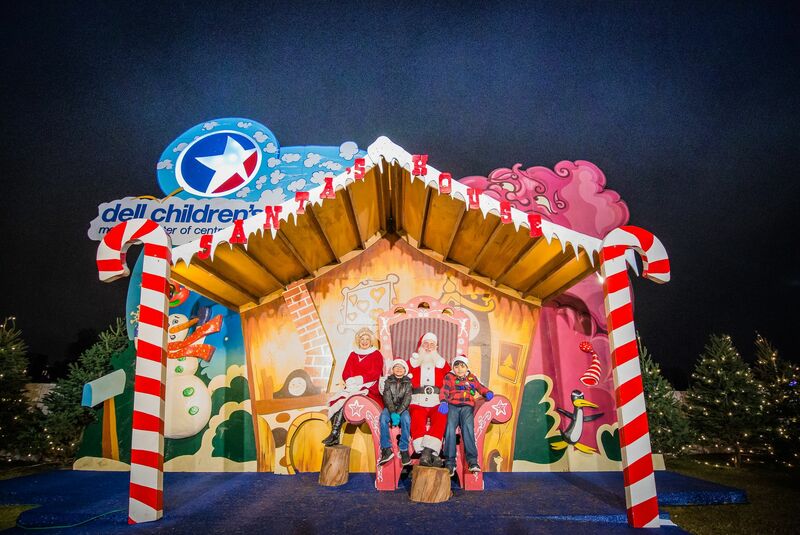 Examples of Showcase level sponsorship activation include: Santa’s House, Santa’s Workshop and Candyland. Showcase Sponsors in previous years have utilized their activations to accomplish wide-ranging goals including but not limited to branded giveaways, email capture, digital ad campaigns, employee volunteer programs and more. Since 2012 families have been able to stop along the Trail at Santa’s House to have a free photo taken with Santa and Mrs. Claus. Dell Children’s / Ascension saw this activation as a perfect opportunity to directly engage with their core audience and demonstrate their commitment to community involvement in Austin. Over the past 6 years the Trail of Lights team has been able to adapt the activation to organizational branding changes and integrate an employee volunteer program. In 2017 5,624 photos were taken at Santa’s House with 13,638 digital photo deliveries. Read more about how Dell Children's Ascension has work to build their brand and company goals year-over-year. Since 2012 Santa’s Workshop has been a destination on the Trail for new interactive technology and creative activities for children of all ages. 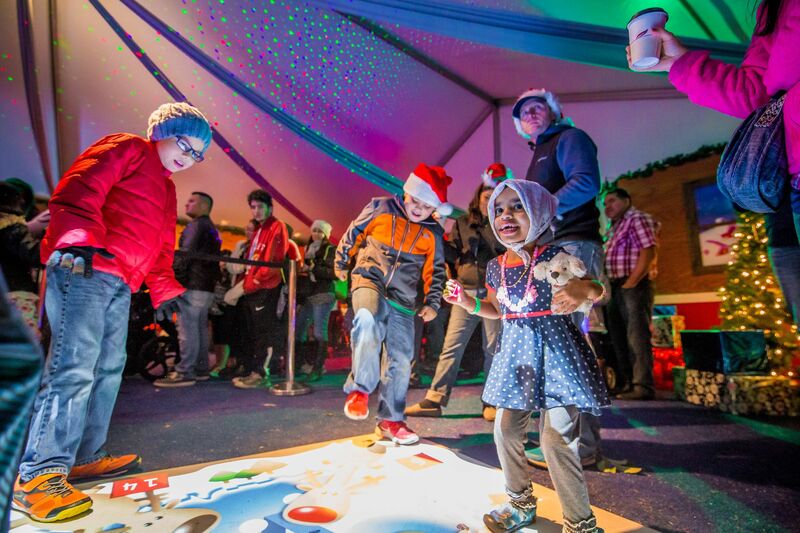 Every year the Trail of Lights team works with Vista Equity Partners to evolve the Workshop with new features, games, and surprises. In 2017 visitors were able to create a personalized holiday .gif and take home a selection of holiday crafts. Vista’s Showcase Sponsorship highlights their commitment to keeping family friendly cultural activities, like the Trail of Lights, open to all Austinites. Become a Showcase Sponsor or request more information by filling out our sponsorship inquiry form.